This will be my first summer in a few years with long hair. Three years ago, I chopped off my long locks, spent the next year growing it back before my wedding, and subsequently post-wedding chopped it again. I've forgotten what it's like to have long hair and all it takes to take care of it. Boy, does my hair get dry when it's past my shoulder. 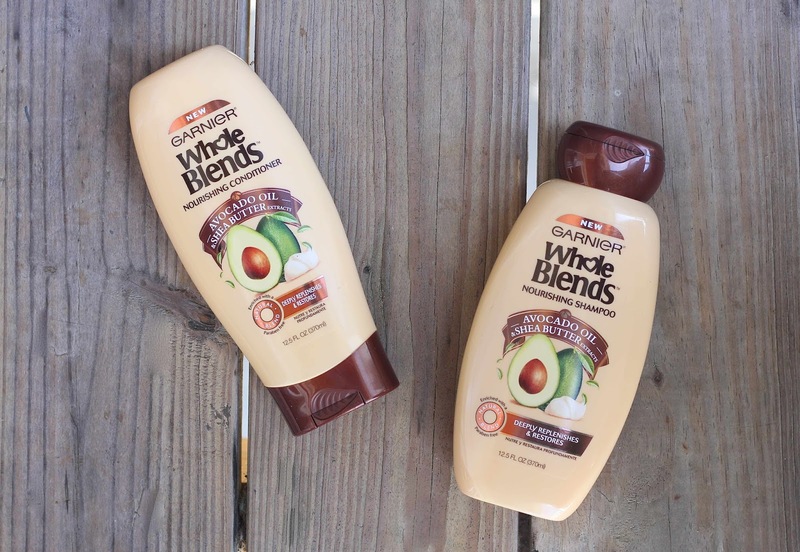 Whole Blends Nourishing Hair Care to the rescue! Created to produce naturally beautiful hair, Whole Blends are the newest formulas of shampoos, conditioners, and hair masks by Garnier. 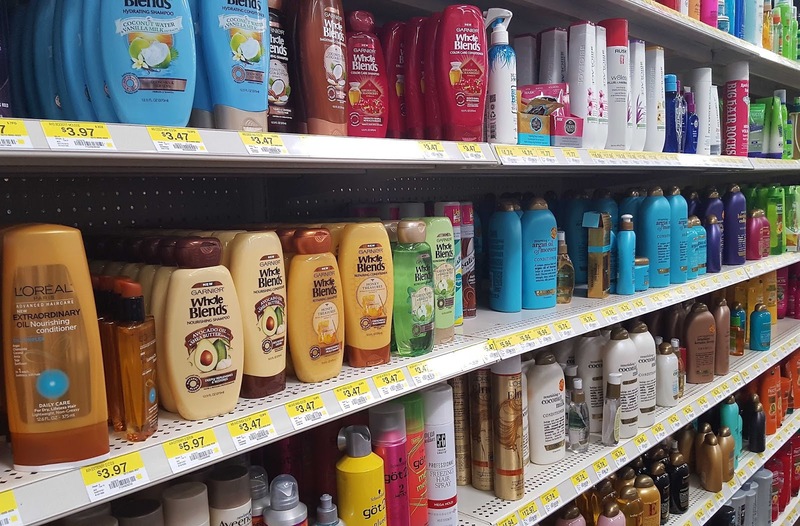 They can be purchased at Walmart in a variety of treatments specific to your haircare needs to nourish deeply, hydrate, and repair. I decided to try the Garnier Whole Blends Nourishing Hair Care With Avocado Oil and Shea Butter Extracts said to rejuvenate dried out hair. I picked up the Nourishing Shampoo and Conditioner and have been using it for two weeks. The shea butter absorbs into each strand of hair to protect against future damage and avocado oil strengthens the roots and adds great shine. This line also has an awesome rinse-out hair mask that I cannot wait to try. Oh, and besides the long, dry hair, let's add in that this will be my first summer in the South with long hair - holy heat and humidity. I know for a fact that my hair will be up every day over the next five months. Those ponytails are going to get old fast, so I thought I'd also share my second favorite easy updo: a side braided bun. There are just four easy steps to create this look for yourself. 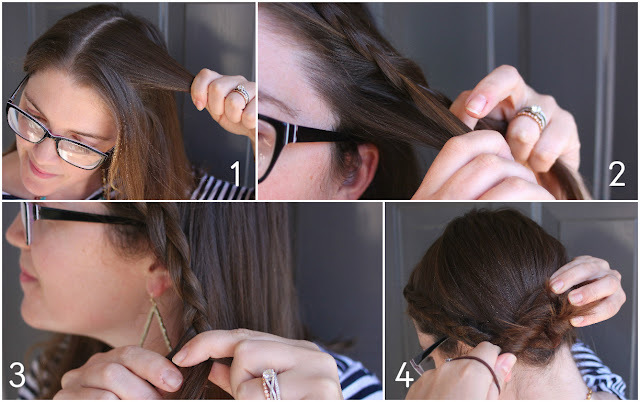 FYI, this tutorial assumes that you know how to Dutch Braid (aka backwards French Braid). If you do not, click here to watch a great tutorial video. 1. Part your hair on the side and section off the portion of your hair closest to the part. 2. Separate this segment into 3 sections and begin to Dutch Braid, pulling new hair in only from the side closest to your face. 3. Once you reach your ear, stop pulling in new hair and simply continue to braid the rest of that section of hair. Secure that braid with an elastic. 4. Pull all of your hair (including the braid) into a ponytail on the side of your head. Twist it to create a bun, and secure it with another hair elastic. 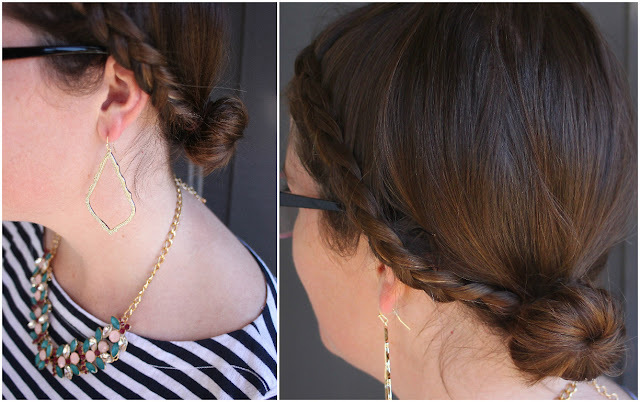 This easy look will keep your hair off your back and neck as well as out of your face all day. 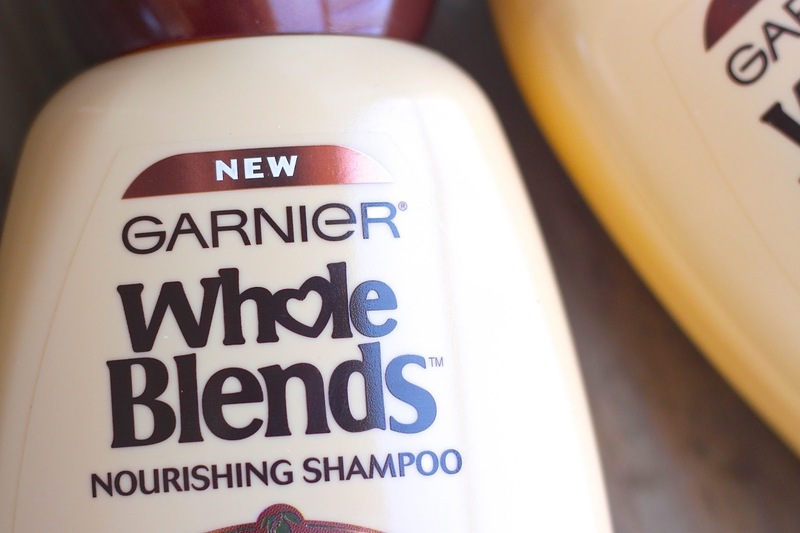 Thanks to Whole Blends Nourishing Hair Care, it's so much easier to braid my once-dry hair. You can check out the entire Whole Blends line here. Which blend would you like to try? those products look awesome! it's totally different having long hair in the summer but the big plus side is you can put it up! that braid is so cute! i am terrible at braids and the more i try the worse i get haha. happy monday! Love the braided side bun! So cute! I love the braided bun! I just tried the whole blends coconut and i one the smell. Reminds me so much of summer. So pretty-I love any style that involves braids! I just saw that product on Amazon & almost ordered it. I need to try that side bun thing. I can never work out cute hair styles with all my layers. So frustrating. I am loving your hair like that, it's super cute and fun! 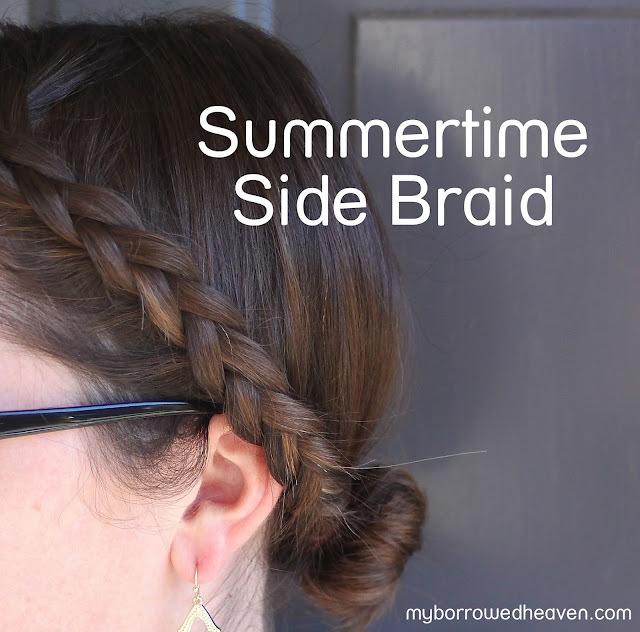 Very cute :) I love those side braids in the summer so you don't have to mess with sweaty, sticky hair! Oooh I need a good conditioner! I'm going to give it a try! These products sound awesome!! I need to try some different hair masks and this brands sounds great, I'll have to check it out. I usually always have my hair long, but after my move to Texas, I have a feeling it'll be shorter to avoid those super humid days. I need to learn how to do that side braid, so cute! Braids + humidity are my saving grace down here! When I finally grow my hair out, I am trying that side bun!! Love it! This is such a cute hairstyle on you!